In March 1974, Jon Tiven had just turned 19 and was living in New York City. In the next two and half years, he’d find himself deeply enmeshed in a Memphis musical scene and saga that – while the stuff of legend today – went almost wholly unnoticed at the time. He variously played, wrote, recorded and/or performed with members of Big Star, as well as other, lesser-known yet important artists. 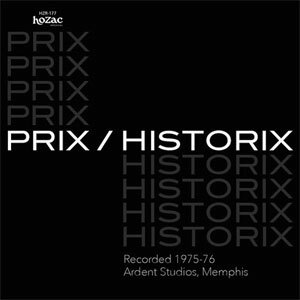 Historix by Prix (pronounced “pree”) is a new CD that features the music that he and some of his musician friends – a sort of group-that-never-was – would make during that time. Bill Kopp: How did you come to Memphis and to meet former Box Tops singer Alex Chilton? Chris Bell had left the band; this was shortly after release of the first record, and Chris was nowhere to be seen. They flew me out, and I got together and had dinner with Alex and Jody Stephens. As far as Ardent were concerned, I was the guy in the rock press who wrote more about the band than anybody. They flew me out on several other occasions, including to San Francisco for a Gavin [music and radio industry] convention with them, just hanging out. BK: So then when did you meet Chris Bell? BK: And singer/guitarist Tommy Hoehn; how did you connect with him? JT: I was living in New York working for Chess Records; Tommy sent me reels of tapes of stuff he had been working on with Rick Clark, and I guess [Ardent’s] John Fry thought that I would be a good person for them to hook up with. I enjoyed what they were working on. I met Tommy when I went down to do the Bach’s Bottom record. I needed some young, un-jaded musicians to play on Alex’s sessions, because Alex was surrounding himself with people who were full of negative energy at that point. And I really didn’t want that on my sessions; I wanted people who were enthused at the prospect of recording, not people who were already sort of burned out and who looked upon it as an excuse to raise hell and document that kind of behavior. [They wanted to] make a recording that nobody would ever hear, which was basically what Alex was up to at that point. BK: Were the Bach’s Bottom sessions as dissolute and debauched as legend suggests? JT: The first night was as wild as I’ve ever experienced. If live demons were flying around the room, they wouldn’t have been out of place. Seriously, it was insanity. But the other sessions after that were fairly structured and … Alex would say businesslike, but I would say inspired. After Alex died [in 2010], people started re-evaluating his catalog, and realized that Bach’s Bottom is a very important record for him. It may be his best solo record. BK: What did you do once the first sessions were over? JT: I returned to Memphis a couple of months later. I liked Memphis; I liked the people I met there a lot. There was a guy named Van Duren, and I was helping out with his career. [Tiven would produce Duren’s highly-regarded Are You Serious? in 1977.] He invited me to live at his place and join a band that he had formed with Chris Bell and Jody Stephens. I came down to do that, but Jody had left the band by the time I got down there. The band continued with John Hampton on drums; Van on bass and guitar alternating with Mike Briggs, who’s a really well-known session bass player now known as Mike Brignardello; Chris Bell; and myself on lead guitar parts. That didn’t last long, because we had too many guitar players in the band: Mike, Van, Chris, and me. BK: Did that group ever record? JT: No, we never went into the studio. I can really only remember doing maybe three or four gigs with that particular lineup, and then they continued without me. And I don’t think they ever went into the studio. I don’t think anybody had any thoughts of doing that as a real group until it was all over. The idea was that we’d all do songs from our own projects, and hopefully something would come of it. But nothing did. So after about a month of that, I refocused on doing stuff with Tommy. BK: So Prix started out as a Tommy Hoehn vehicle? JT: Initially it was going to be a Tommy project, but he convinced me that he wanted me to be in a group with him. So we made it into a group thing, pooled everything that we had, and went for a record deal. We took all of the songs that we had cut for Alex’s thing and put them with that. JT: It was an audition session for Columbia Records, because there was an A&R guy there who wanted to sign Prix. He flew Tommy up to rehearse with us and then do a showcase at Columbia Recording Studio [September 8, 1976]. BK: How did the showcase go over with the guys at Columbia? BK: Did Prix play any live dates while in NYC? JT: No. Tommy came up for that one specific thing at Columbia Records. The next morning, I called over to the hotel he was staying at. He was gone. He just skipped town without calling me. I think at that point he had started his conversation with the people at London Records. Basically, he used the Prix project to get himself a solo deal with London. JT: If you know anybody who wants to pay $35, give them my number! I never got paid off that record; they paid me in records. Trying to get money out of Ork was pretty much impossible unless you were their drug dealer. If you were their smack dealer, the pockets were open. 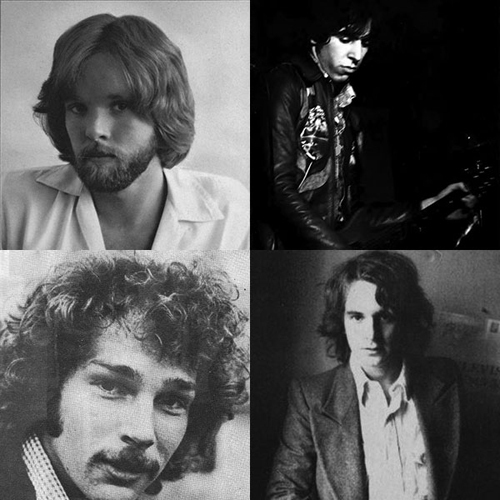 BK: Chris Bell co-produced the Prix material with you, and he plays and sings on most of the tracks cut at Ardent. But he’s not on “Zero.” The single is labeled “AM Side” and “FM Side.” Was that a reference to Chris Bell’s belief that “Zero” was the Devil’s music? JT: I loved Chris. He was a great guy, a fantastic musician and a wonderful partner. It’s a shame that he did not get more joy and respect during his lifetime for what he had done. I’ve tried to do my best to tell people about how great he was. There’s a misunderstanding about Big Star: some people see it strictly as a vehicle for Alex. It gravitated to that, more or less, over time. But the actual concept for the band, the approach, was all Chris. He’s the unsung hero of the story. Chris had a big hand in the writing of a lot of songs on [Big Star’s second album] Radio City, but he was denied credit in order to extricate himself from the Big Star mess. “O My Soul” is for all intents a Chris Bell song, and there are a couple more that really have his stamp all over them. He’ll never get acknowledgment for them, because he doesn’t have a piece of the copyright. I’m not going to diminish anything Alex did on Radio City, but to an extent, that was running on the fumes of Chris Bell. BK: Historix was briefly available some years ago as a pricey Japanese import. But the new CD features a new tune, “Ordinary Life,” from a current-day incarnation of the group. The song is very much in the spirit of the material from many years ago. BK: Are live dates from Prix a possibility in the future? JT: Yes. And we’ve pretty much closed the deal with HoZac records to put out an EP. It’s me, Sid, my wife Sally Tiven on bass, and a multitude of drummers. And not only that: when I started going through my tapes, I found two more early tracks by the original group with Tommy. I thought I had lost them, but I was able to locate them again. So these are going to be on the EP that comes out later this year. BK: As you look back on the 1970s – Prix, Bach’s Bottom, and all your Memphis adventures – do you see this whole period as a great tale of missed opportunities, of “what if”? For awhile I looked at that part of my life as the pancake: You’ve got to make the first one and throw it away for the rest of the batch to be good. At the time, I got some good reviews on the Alex record, but I also got a lot of negativity from Alex himself, and from Alex’s fans. And the Prix stuff, at the time, I never saw a review. I didn’t know that anybody cared about that group at all. I was on to the Yankees not too long after, and I joined the Jim Carroll Band. I figured this other stuff was just one for the books. I figured, I’d chalk it up to experience and move on.